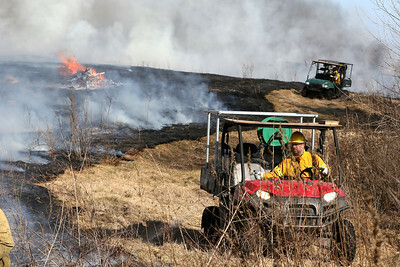 H. Rick Bamman - hbamman@shawmedia.com Workers from the McHenry County Conservation District fire crew boss Brad Woodson drives an ATV Wednesday, Feb. 22, 2017 as he monitors a prescribed burn n the Lake in the Hills Fen along Jefferson Street. 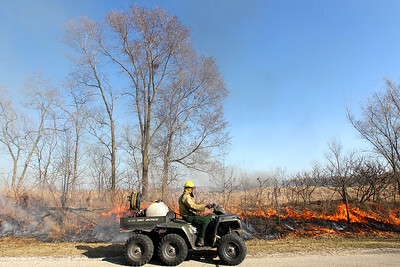 H. Rick Bamman - hbamman@shawmedia.com Workers from the McHenry County Conservation District conduct a prescribed burn Wednesday, Feb. 22, 2017 in the Lake in the Hills Fen along Jefferson St.
H. Rick Bamman - hbamman@shawmedia.com Workers from the McHenry County Conservation District conduct a prescribed burn Wednesday, Feb. 22, 2014 in the Lake in the Hills Fen. Crew boss Brad Woodson. 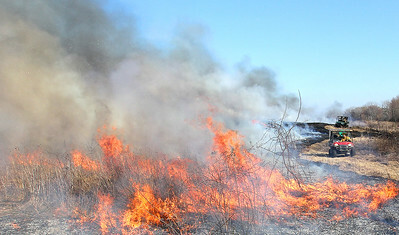 H. Rick Bamman - hbamman@shawmedia.com Workers from the McHenry County Conservation District drive ATVs carrying water to secure a fire line during a prescribed burn Wednesday, Feb. 22, 2014 in the Lake in the Hills Fen. 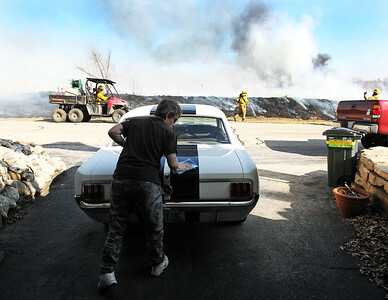 H. Rick Bamman - hbamman@shawmedia.com Lake in The Hills resident Carolin Skrypek cleans up her 1964 vintage Mustang Wednesday, Feb. 22, 2014 while crews from the McHenry County Conservation District conduct a prescribed burn in the Lake in the Hills Fen. 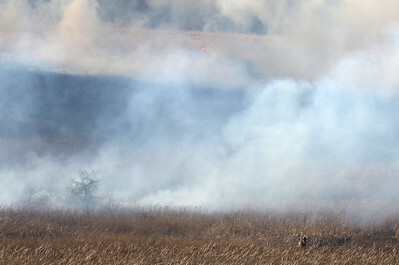 H. Rick Bamman - hbamman@shawmedia.com A McHenry County Conservation District fire crew member (lower right) monitors Workers from the prescribed burn Wednesday, Feb. 22, 2014 in the Lake in the Hills Fen. 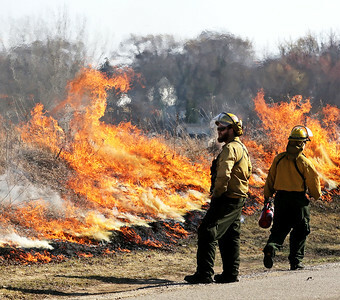 H. Rick Bamman - hbamman@shawmedia.com Workers from the McHenry County Conservation District monitor flames as they conduct a prescribed burn Wednesday, Feb. 22, 2014 in the Lake in the Hills Fen. 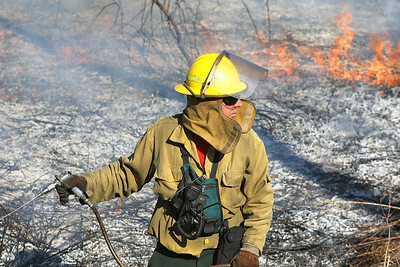 H. Rick Bamman - hbamman@shawmedia.com Workers from the McHenry County Conservation District fire crew boss Brad Woodson sprays water to control the spread of flames during a prescribed burn Wednesday, Feb. 22, 2014 in the Lake in the Hills Fen.